Black 2 and White 2 Other Pages: New Items | Gotta Find 'Em All! 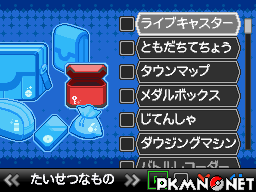 Mainly Key Items, the following Items are brand new to Pokémon Black 2 and Pokémon White 2. Now you've just gotta find 'em all, as they'd say.. Page generated with 31 queries, excitingly.